The Viva chair by Gärsnäs, designed by David Regestam, previews during Salone del Mobile, 9‒14 April in Milan. Viva is a stylish chair and yet as comfortable as an easy chair. David Regestam has taken great care to achieve maximal sitting comfort while keeping the chair’s proportions slender. This makes Viva ideal, either at a dining table or around a conference table or as a solitaire reading chair or in a snug lounge environment. The emphasis has been on making a comfy chair for everybody. “I have longed for a chair of this type in the market. With Viva, I wanted to make a chair that focused on comfort and durability, packaged in a beautiful and timeless design. 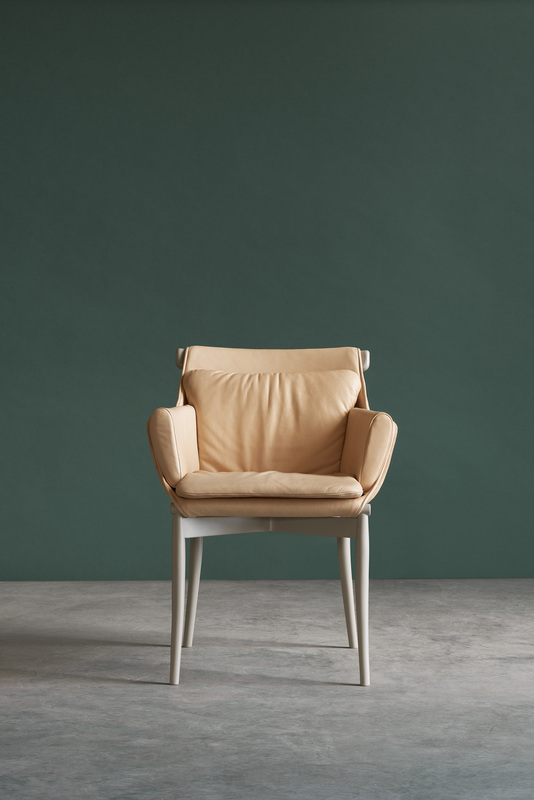 The aim was not to produce yet another in a long line of new chairs, but instead to create a unique chair with a great lifespan that you will cherish for a long time to come,” says the chair’s designer David Regestam, interior architect at Wingårdhs. 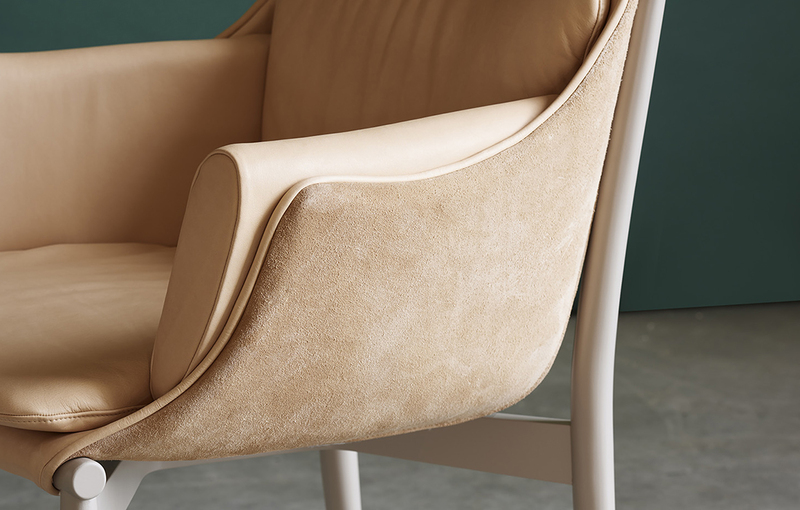 Viva is a genuine piece of craftsmanship by Gärsnäs using materials sourced from suppliers close to home. The chair is made exclusively of environmentally sustainable materials with a stand of wood and seat of recycled blanket material. The upholstery with its lovely detailing of the seams comes in leather or fabric to suit a range of environments, as well as providing different price levels for customers. The smart construction makes Viva easier to renovate and reupholster, which further extends its lifespan. The wooden stand and seat frame are separate components, which during transportation are stacked to ensure that the logistics are as space-saving and environmentally friendly as possible. Viva has a continental expression mixed with a Scandinavian character, which means it suits a wide range of settings in different places around the world. The design’s starting point was to make a chair that would be attractive from every angle. Its name comes from the Romance languages meaning – lively, alive – long live! 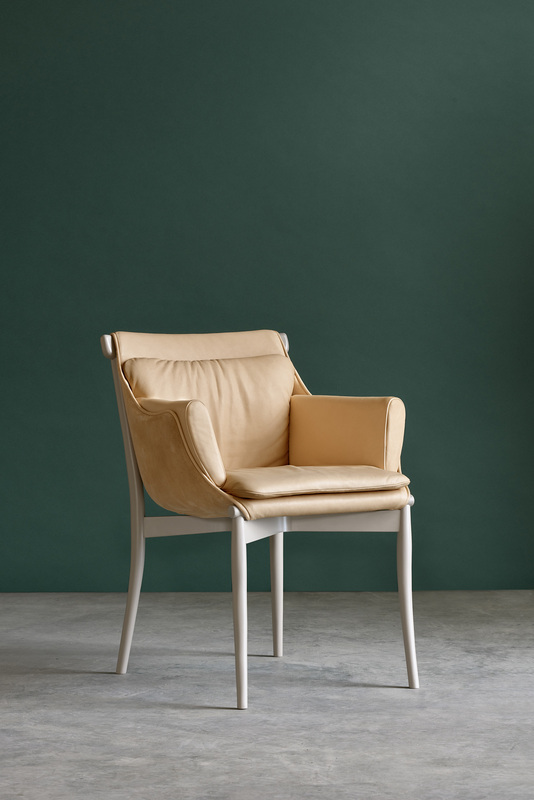 The sleek leg stand and the many softly padded cushions create an entity that gives the chair a silhouette full of life and a casual elegance. The Viva chair is shown for the first time as part of the exhibition HEMMA gone wild, Svensk Form, Via Solferino 15, Brera, Milan. David Regestam, an interior architect at Wingårdhs, has collaborated previously with Gärsnäs to design two series of tables: Tak and Kolonn.